Here you will find all the information about the following: golf lessons, lesson fees, Golf Duinzicht, testimonials, muscle memory, lesson packages, GVB(Club Hcap 54), golf tips and golf trips. Last of all you shall see the Setford Swing System, a highly successful method I have developed to help beginners learn and feel the most important movements in the golf swing. I have successfully trained hundreds of beginners/less experienced golfers for the GVB exam. My methods have helped reduce handicaps purely by creating a good understanding of the basics that are required to acheive the desired results. I have played golf since the age of 8 and have turned a full time hobby into a full time career. For 5 years I worked at Foxhills Golf & Country Club one of the most prestigious clubs in the London area. Under the watchful eye of Alasdair Good and Bernard Hunt (former Ryder Cup Captain and player) I completed my examinations in 1998 and was awarded The Titleist Scholarship for outstanding achievement. Along the way I have earned 2 Diplomas in Sports Psychology as well as passing the examination to become a Rules Referee. Along the way I have trained under Scott Cranfield a successful European Tour coach, helped set up a coaching facility in Jordan and was also Head Professional at Marvao Golf Club in Portugal. I arrived in Holland in the year 2000 whereby I taught for 7 years at Golf Club Spaarnwoude followed by 6 years at Golf Club Haarlemmermeersche. In Jan 2013 I started teaching at Golfcentrum Amsteldijk. In 2015 I started at Golf Duinzicht. 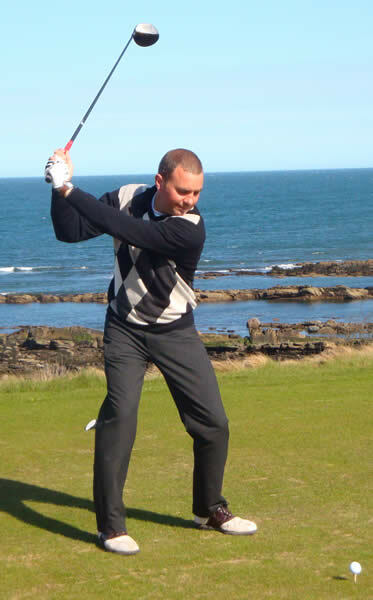 I believe in trying to improve my knowledge all of the time which is why I regularly attend development programmes provided by the PGA of Great Britain (the most recognised association in world golf) and work with other respected teachers to help improve my own teaching and playing techniques. Through self experience, study and working alongside quality coaches I have developed my own method of teaching. This method is now called the Setford Swing System. My method has gained an average GVB pass rate of 90%.